Vikings are back and ready to fight! Get ready for an exciting war and non-stop fun! Live a fascinating viking adventure in this an idle-based strategy war game: Create the strongest army of soldiers with different types of warriors and fight against your enemies! 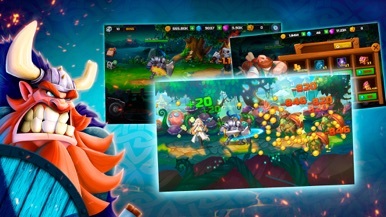 Enjoy playing with brave viking heroes, send them to the battle, kill all the enemies and come back home victorious: Fight for your honor and glory! 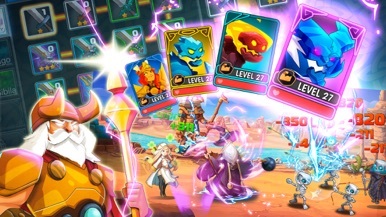 The funny war game combines strategy and action: It will get harder as you play and you will require magic orbs to level up, create more viking heroes and purchase different upgrades. The easy gameplay will allow you to immerse you in this clicker game: Cross the sea with boats to send your viking soldiers to explore and discover more lands. 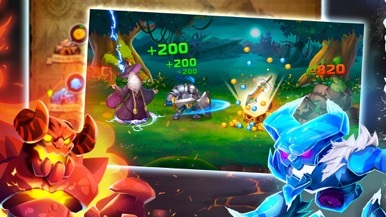 Create magic orbs with your druids and collect them to make more viking heroes and bigger boats... In short, plan your strategy and conquer the world! 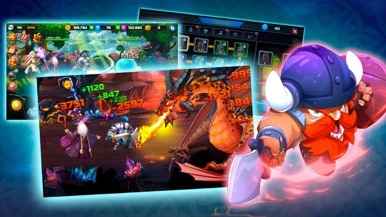 - Create and manage a viking army and plan a strategy to win every battle! - Find funny upgrades that you will be able to unlock while playing: A lot of surprises are waiting for you! Become the great conqueror that the viking people deserve! The war has started. Which side are you on? 언제 어디서든 간편한 차량관리 차량관리는 기본, 다양한 리워드가 가득! 목표달성? 기프트 교환권 완성! CUBE AUTO로 재테크까지 내 손안의 작은 Simulator 자가진단과 운전의 재미를 동시에 친환경 운전습관, 경제적인 안전운전 체크 큐브와 함께 ECO 드라이빙 큐브박스가 안내하는 스마트 차량관리 짜릿한 놀라움을 경험해보세요.